We might be carrying a torch for the one that got away, but this summer sports fans got to carry a much more impressive torch – the 2015 Pan Am/Parapam Am Games torch! 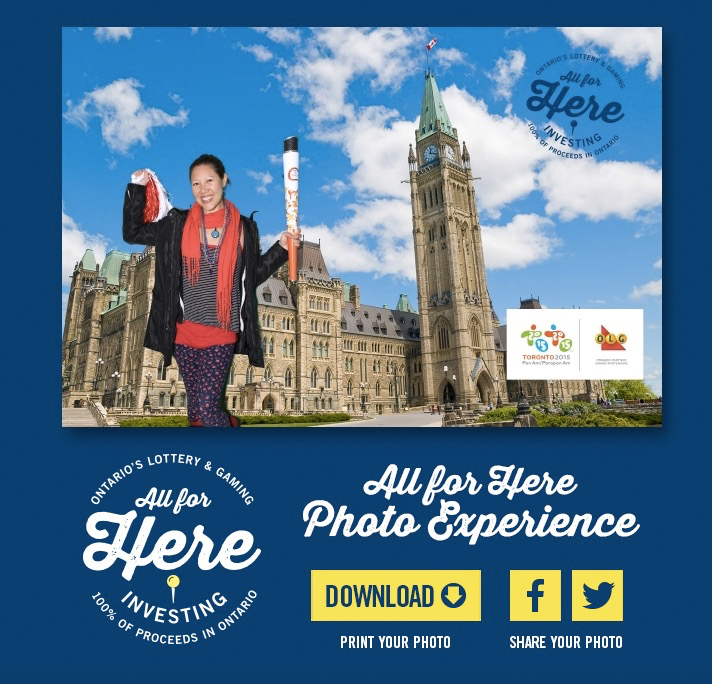 Thanks to OLG’s All For Here Photo Experience, guests at festivals and events across Ontario got to pose in front of a green screen and see themselves as an official torchbearer. Pixperience provided the video screens, trained OLG staff, and provided development and support throughout the process. OLG, as a Premier Partner of the TORONTO 2015 Pan Am/Parapan Am Games and a presenting partner of the 2015 Torch Relay, brought the games to the people at events as diverse as Toronto Pride, Scotiabank Caribbean Fest, Luminato, and many more. 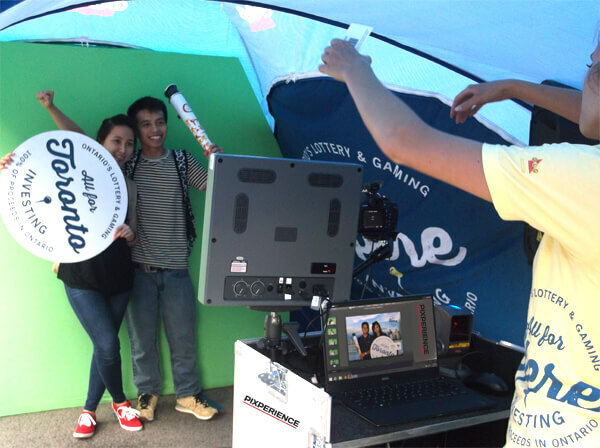 Torchbearers’ got their photos immediately via a branded microsite. Thousands of Canadians got to see themselves repping their country as we welcomed the world’s most elite athletes to our home and native land.